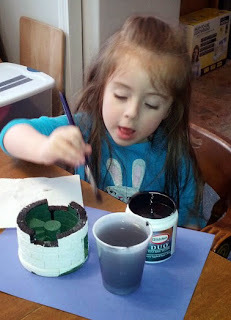 For a long while now I've wanted to get some Hirst Arts molds so I could build some castles. Some, of course, would be for gaming, but I also thought it would be great to use as craft projects to do with my daughter. 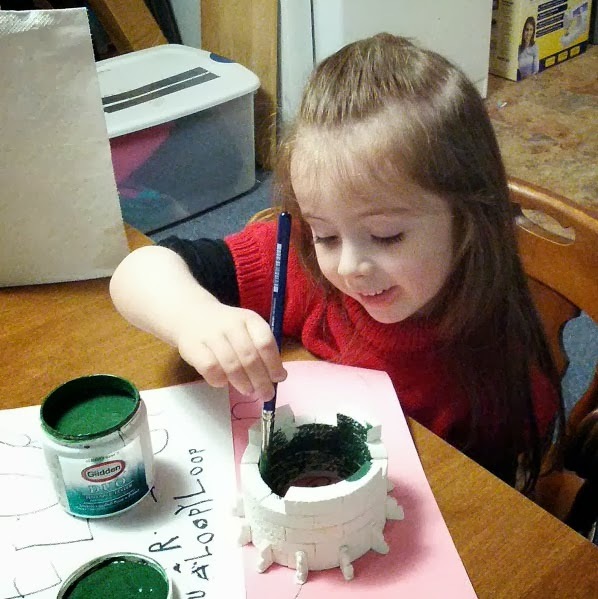 So for our first project I decided to do a simple round tower using the 4" Circular Tower Mold #52. In the end I ended up doing most of the work, but she contributed significantly in every step of the process, and had a lot of fun doing it. There will be more castle projects in our future! 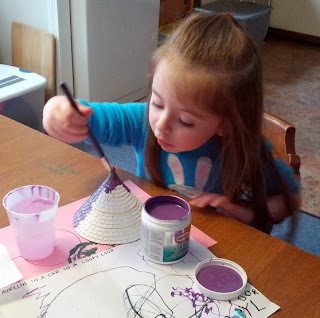 Here's my daughter mixing some plaster for the molds. Then while I did some assembly and test-fitting she made some block arrangements. 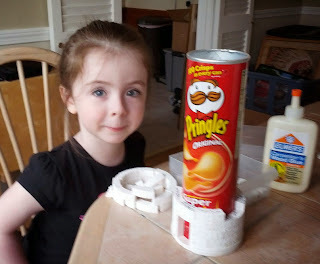 Here we're using a Pringles can as a form for the circular tower. 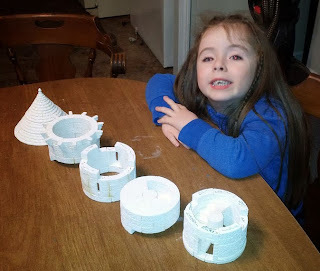 The five pieces of the tower, unassembled and ready for painting. 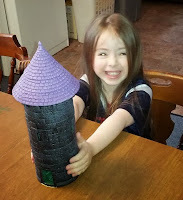 The tower fully assembled and test-fit. My daughter and I took a trip to the Home Depot to pick out paint colors. She chose "Chard" green for the interior. "Deep Amethyst" for the roof. and "Onyx Black" for the exterior. After painting, I did a quick drybrush on it, and we did the final assembly. 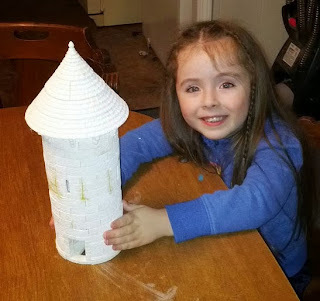 Here's my daughter and proud builder! The completed tower is now sitting on top of the bookshelf in her room.